Massey Place Community Church: More great events! Here are a couple more Fantastic Events here at Masse Place Community Church! Cash Back is coming Back!! Includes a Strawberry Social (Dessert) and Drinks for only $15.00!!! Click HERE for more details or email us HERE to reserve your seat! 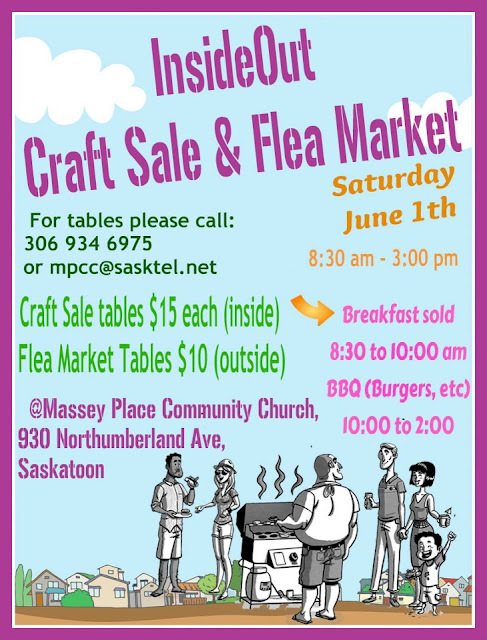 InsideOut Craft Sale and Flea Market! With tables inside and out full of Hand made items, lawn sale treasures and small business bargains you will not want to miss this fantastic day!